Pyro MX Leancore is a weight-loss aid offered by Sci-MX Nutrition LLP. It uses thermogenic science to help users oxidize body fat and support their metabolism to produce sustained fat loss. It contains a pyro-therm complex as well as herbal extracts, amino acids and vitamins. 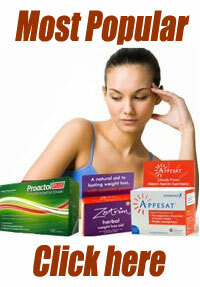 It is recommended that users take 2-3 capsules up to 3 times per day on an empty stomach. One bottle of 180 capsules costs around 50 GBP with a 25% discount. Taking the maximum 9 capsules per day would result in that bottle lasting 20 days. Taking the minimum 6 capsules per day will allow it to be a 30 day supply. The pyro-therm complex contains guarana, bitter orange peel, yerba mate and cayenne pepper. The capsules also contain caffeine, green tea extract, Acetyl carnitine, white kidney bean extract, tyrosine, bioperine, Vitamin B5 and chromium. The ingredients in the pyro-therm complex are used to increase metabolism and body heat. This is supposed to result in increased fat burning. The caffeine, green tea extract, and acetyl carnitine increase energy. Green tea in particular has been proven to have thermogenic effects and promote fat oxidation in a clinical study published by the American Journal of Clinical Nutrition in 200. White kidney bean extract provides fibre. Tyrosine is an amino acid that can act as an appetite suppressant. Bioprene is the trademarked name for piperine, which is simply black or white pepper. Recent studies have shown that piperine might be useful in reducing fat levels in the blood stream and preventing new fat cells from forming. Vitamin B5 provides energy for metabolic support. Chromium is an essential trace element believed to increase energy and improve athletic performance. Always consult your healthcare professional before starting any dietary supplement. Pregnant or nursing women should not take this product. The caffeine and other ingredients in this product may interfere with sleep. The product warns users not to take the capsules within 4 hours of bedtime. While most of the ingredients in this product are considered safe in small amounts and over short periods of time, there are some side effects and possible interactions that consumers should be aware of. This is by no means a comprehensive list, so it is important to consult a healthcare professional with any concerns and especially if potential users suffer from existing medical conditions. Chromium can interact with insulin, thyroid medications and anti-inflammatory medicines called NSAIDS, like ibuprofen. This is significant because many people who exercise, as the product recommends, use NSAIDS to relieve sore or strained muscles. Ask a pharmacist about alternatives. Bitter Orange Peel can worsen glaucoma on its own, and is of particular concern when combines with caffeine, as it is in Pyro MX Leancore. Serious cardio-vascular side effects, including high blood pressure, stoke and death have been reported. Short answer: Maybe. Pyro MX Leancore has several aspects in its favour. The website is well organized and informative. The company is very transparent when it comes to ingredients, dosing and warnings. There is also a tab where potential consumers can submit their questions directly, instead of just having to rely on a canned FAQ sheet. The capsules contain several active ingredients that have shown, or show promise to be effective fat burners and weight-loss aids. 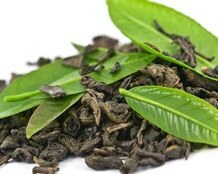 They do not make outrageous claims of results, even though some of the ingredients could possibly be fast acting. The company also acknowledges the need for an overall weight-loss program, of which Pyro MX Leancore is a part; it does not present itself as the answers to all one’s weight-loss dreams or a miracle in a bottle. This is important because it shows that the company respects their customers, instead of preying on the vulnerabilities and fears of desperate dieters. The main drawback to Pyro MX Leancore is the price. It’s quite expensive. The website recommends users take the product for six straight weeks, then stop taking the product for two weeks, then start taking it again. If someone wanted to take the maximum dosage of 9 capsules per day, they would need 378 capsules over that time frame. The largest bottle offered contains 180 capsules, so at least two bottles are needed for the 6 weeks. That would cost about 100GBP, a price many consumers may balk at once, never mind having to spend that every 45 days or so. In the end, Pyro MX Leancore may be worth a try, if one can afford it. Can be purchased at many sports supplement oulets and online. If fat burning is main priority then Phen375 is highly recommended. 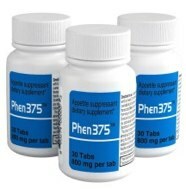 Phen375 combines high quality pharmacy grade ingredients with natural to give not on a high strength fat burning experience but also also an appetite suppressant. Phen375 is used by a large customer base from all over the world.